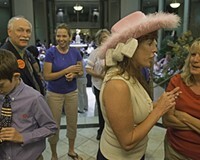 Cantor Leftovers | News and Features | Style Weekly - Richmond, VA local news, arts, and events. Some weird details that shouldn’t get lost amid the flurry of headlines about Eric Cantor’s fall. Ned Oliver A large hunk of very red, leftover meat at Eric Cantor's election night party. Metaphor? Eric Cantor lost to David Brat. Here are some things to think about. There was a gross shortage of metaphors for reporters to fall back on in describing Brat’s win, so, yeah, lots of earthquake talk. We’re never going to stop hearing about the steak: Yes, you’ve probably heard this, and you’re probably going to keep hearing about it, Cantor spent more at steakhouses than Brat spent during his entire campaign. That would be $168,000 from Cantor toward red meat and $122,000 from Brat for yard signs and stuff. Speaking of beef: There were big hunks of it being served at Cantor’s election night party. 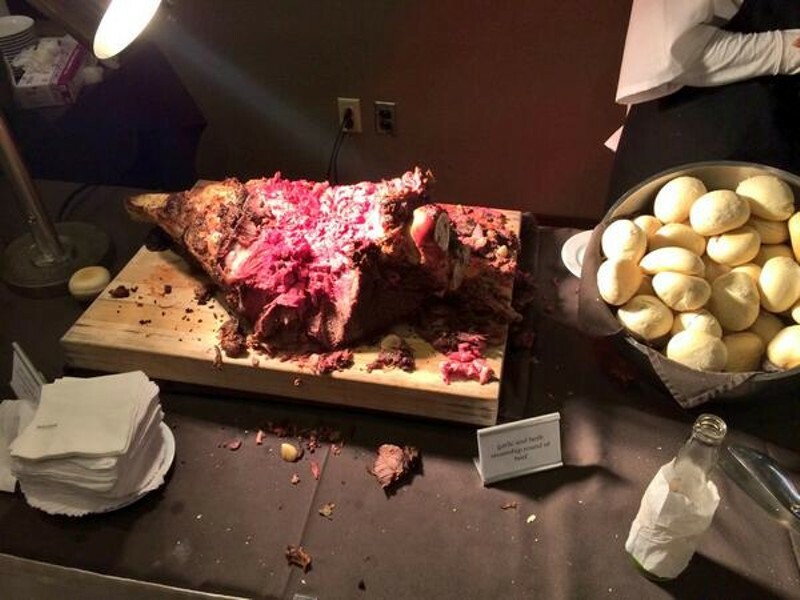 By the end of the night, it looked (see above) like a metaphor for Cantor himself: a sad hunk of very red meat -- with plenty of leftover White House rolls nearby, as @rosscatrow points out. Rate my candidate: Both major party nominees are professors at Randolph-Macon College, which means they both have profiles on Ratemyprofessors.com, where students chime in on their class experience. Jack Trammell gets higher marks than Brat, but way more students say Brat is hot, so there’s that.